Now, it is no secret that I am a huge fan of Chelsea Quinn Yarbro's Saint Germain series of books. It will therefore come as no surprise to you that I awarded this book five stars. But, I must say that I found this book one of the best out of the last few releases by Yarbro. 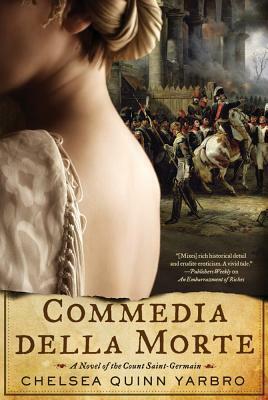 While I like all the books in the series, this one particularly appealed to me; perhaps since it was set during one of my favourite historical periods - the French Revolution. The cast of characters features a number of old favourites such as Roger and Madelaine as well as interesting new characters and the odd historical figure. As always, the historical detail is accurate and beautifully woven into the story. The plot moves at a good pace - faster than some of the other books in this series - and held my interest throughout. One of the great things about this series is the fact you do not have to read them in the order they were written and I think this one would be a good 'first read' for someone new to Yarbro's writing. Roll on book twenty-six is all I can say! I have not read this book. But after your interesting review, I'll read it inapplicable.